The Utility bills may be paid via the various methods outlined below. Also, read the documents below for further information on Electrical Rates, Charges and Regulations. Apply to turn your electrical connection on or off. Water/Sewer and Garbage service levies are invoiced bi-monthly. User accounts for sewer and water based on meter consumption are billed bi-monthly. For more information on fees for water, sewer and garbage services, please view our “Grand Forks Bylaw Library page”. Cash, cheques, money orders and Debit Card. Payments can be made at our location at 7217 – 4th street. There is also a drop slot for payments on the front door. Cheque or money order to the City of Grand Forks P.O. Box 220 Grand Forks, B.C. V0H 1H0. Set the City of Grand Forks up as a vendor on your telephone or internet home banking system. Automatic withdrawal from your account monthly or post-dated cheques for monthly payments. Please contact the City Office to calculate your equal payment/automatic withdrawal payment options. 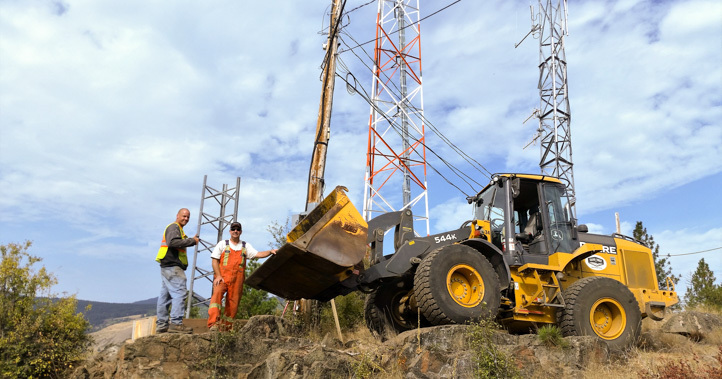 FORTIS BC delivers electricity and natural gas directly to homes and businesses across British Columbia. 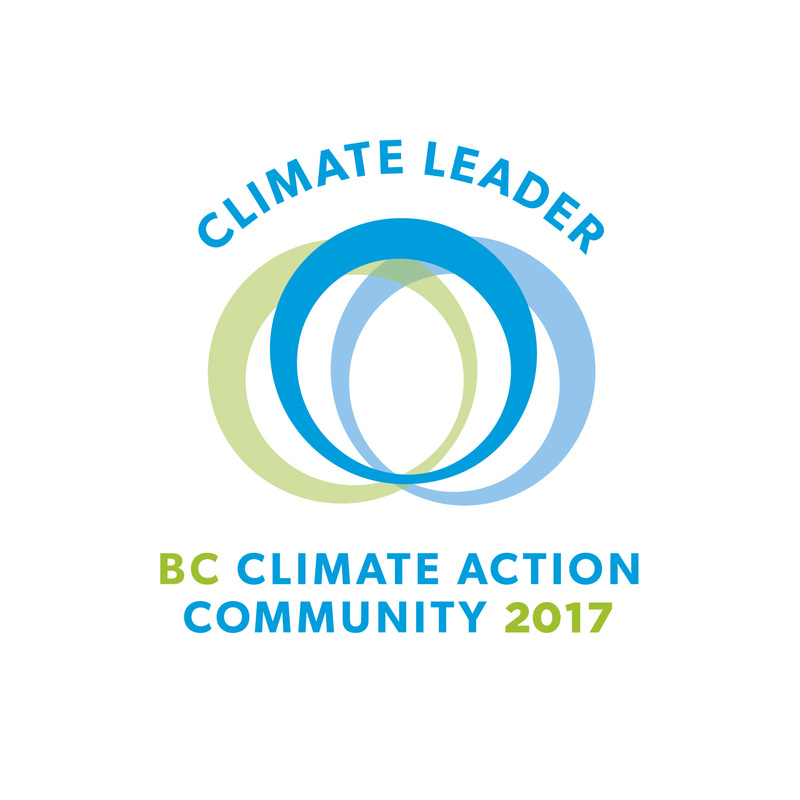 FORTIS BC is a provider of electricity to the communities of Castlegar, Creston, Grand Forks, Kelowna, Oliver, Osoyoos, Penticton, Summerland and Trail. FORTIS BC provides natural gas to Grand Forks and is the largest natural gas distributor in the province. Net Importer: purchases approx 50% of its generation from other sources. 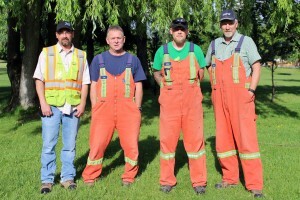 The City of Grand Forks Sewer and Water crew are responsible for the operation and maintenance of 36 km of sanitary sewer lines, 43 km of water lines and 258 fire hydrants, as well as an extended aeration wastewater treatment plant. The Sewer and Water department consists of four persons certified in water distribution, wastewater collection and wastewater treatment. 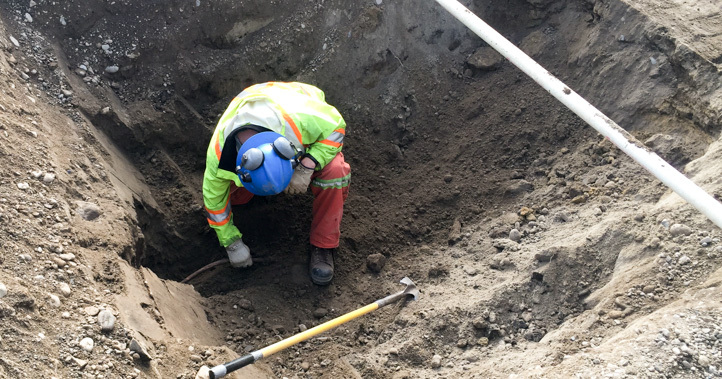 The crew’s responsibilities include all aspects of installing sewer and water lines, maintenance – including flushing of water lines on a scheduled program, operation of the water and sewer system, troubleshooting water and sewer emergencies, repairing customers water and sewer services. * Non-emergency after hours calls will be charged the call-out overtime rate. Existing sewer and water accounts are transferred into a new owner’s name when the individual makes application for electrical service. There is no charge for initiating a utility account if the water is already turned on at the time of application. Should the water be shut off, the charge for connection is $50.00. Water, sewer and garbage charges are billed to the owner of the property. For further information, please contact City Hall. If water and sewer service is available at the property line (contact City Hall to establish availability), application to connect to the service may be made at City Hall. It is the property owner’s responsibility to bring his water and sewer lines to meet the City connections at the property line. If City services are not available at the property line, City Hall will provide an application and agreement for water supply and service and/or sewer disposal service. Upon completion of the application an information package will be provided as how to proceed. Larger commercial or industrial connections are handled with the above procedure also. All new residential construction must provide for the installation of water meters. New commercial, industrial or institutional construction require the installation of water meters as well as residential construction requiring a 1 inch line. a) A septic permit must be obtained from the Health Inspectors’ office through the Ministry of Health. There is a 30 day appeal period before the issuance of a septic permit. A building permit will only be issued after the appeal period has elapsed. b) In order to accommodate a septic field, a minimum lot area of 15,000 square feet (1400 square meters) is required (providing the lot is serviced by City water) for a residential property. For further information regarding lot size requirements contact City Hall or the Building Inspector. For those consumers connected to the City of Grand Forks water system, outdoor sprinkling is limited to the following days and times. Those premises with “even” numbered civic addresses may sprinkle on Saturdays and Tuesdays. Those premises with “odd” numbered civic addresses may sprinkle on Sundays and Wednesdays. EITHER From 12:00 am (Midnight) until 4:00am OR From 7:00am until 9:00am AND from 7:00pm until 9:00pm BUT NOT BOTH! Newly planted lawns and landscapes may be sprinkled twice a day everyday from 7:00 am to 9:00 am and 7:00 pm to 9:00 pm for the first month only using either manual sprinklers or automatic timed underground sprinklers. Automatic timed systems can be used to water up to 5 minutes per zone at a time with total watering time not to exceed 4 hours. Newly planted lawns and landscapes may be hand watered using a hand held nozzle at any time. i.e. No manual sprinklers.